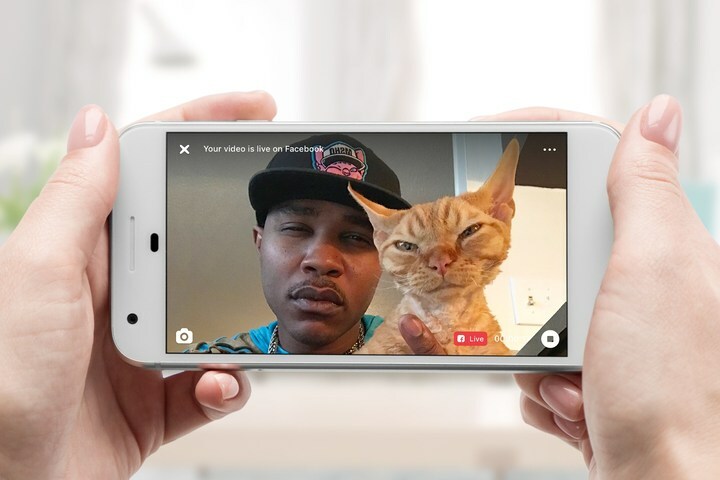 Petcube has announced a major iOS update to its popular Petcube App, integrating Facebook Live, so people can livestream pets to their personal Facebook page. According to a Pehe same update will be coming later to Android. Petcube makes the best-selling interactive pet cameras Petcube Play and Petcube Camera and the forthcoming Petcube Bites treat cam. With the Petcube App, people can join a community of pet lovers and also play with publicly shared pets. The San Francisco based technology company is in Austin co-hosting a “future of pet care” event called Pet Rescue Lounge, in partnership with innovative pet care brands Whistle, DogVacay and Luuup, inviting pet-loving SXSW attendees and Austinites. At the event, Petcube will be demoing the Facebook Live integration by broadcasting a live adoption of puppies and kittens in partnership with local rescue organizations, Austin Humane Society and Texas Humane Heroes. Together with its co-host partners, Petcube will be broadcasting live from different locations, including special appearances on the green carpet by famed pet celebrities Manny the Frenchie and Moshow the cat rapper. A portion of every sale with the code PETRESCUE at Petcube.com, Whistle.com, Luuup.com and DogVacay.com will be donated to Austin rescue groups. With a commitment to reimagining pet care, Petcube continues to drive innovation in the Connected Pet space and is gearing up for the forthcoming commercial release of its interactive treat cam, Petcube Bites. Petcube Bites, now open for pre-order, will be the most advanced treat-flinging cam on the market, with 1080p HD video, night vision, video cloud recording, sound and motion alerts, two-way audio, the ability to remotely fling treats varying distances, a built-in container that will hold up to two pounds of treats, and automatic treat reorder support. Petcube has also announced a strategic brand partnership with Wellness, the leading natural pet food brand and maker of popular Wellness dog and cat treats, to provide healthy treat samples for the Petcube Bites treat cam. The collaboration will feature Wellness treats that enhance the treating experience with the Petcube Bites cam. Owners will always have the flexibility to buy their preferred treat brands and products compatible with the Petcube Bites device. Petcube Bites is available for pre-order on Petcube.com, Amazon, and Best Buy and will start rolling out commercially in early summer. With the opening of pre-orders for a limited time, Petcube Bites will be available at $199, or $50 off the retail price. The MSRP for Petcube Bites is $249 and Petcube Play is $199. Currently, Petcube Play is $149 through March 18, 2017, as part of a spring sale promotion. All Petcube devices come in three colors: carbon black, matte silver and rose gold. Petcube’s camera product lineup supports on-the-go pet care and home security with the popular cloud recording service Petcube Care, which provides a 24/7 video timeline, sound and motion triggered recording and alerts, and up to 30 days of history. Owners can test drive the service with a 30-day trial that comes automatically with each device purchase.